With the Class of 2016 Leadership Greater Manchester graduation complete, the Greater Manchester Chamber of Commerce has announced the members of the 2017 Class. Hoyle, Tanner is proud to announce Nichole Davis’ (of Goffstown) acceptance into this distinguished group. Currently serving as an Ambassador for the Chamber, Nichole remains active and committed to making a positive impact in the Greater Manchester Area community. This 9 month program will “nurture the talents” of the 39 professionals “from diverse sectors of the local community through the exchange of viewpoints and experiences” and assist in cultivating new ideas to address the challenges facing the City. “I am excited for this chance to immerse myself in the issues facing the area and the emerging opportunities to make a lasting impact on my community,” Nichole stated when receiving the announcement. 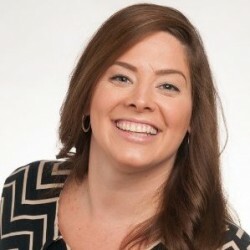 As a valued member of the Hoyle, Tanner team over the last decade, Nichole has worked on progressive marketing and creative strategies to advance our brand awareness and public involvement. She remains committed to the development of leadership and is looking forward to fostering new relationships with various regional business leaders. “She is well respected throughout the firm as a forward thinker who gets things done, meets short deadlines and has proven herself to be a take-charge person who is able to successfully develop plans and implement them,” states Jennifer Pelletier, Marketing Manager.